Have you ever fought in a war? For your sake, I hope the answer is no. If it’s not, I hope that you were fighting for something worthy of your life, like freedom or justice. How about a battle? Nerf? Squirt gun? Now let me ask you something else: have you ever fought a losing battle? I can answer this yes, both literally and figuratively (because, as usual, this story has more to it than you might think at first). When two little boys have water balloons, defense is fairly easy. The solutions are running and dodging. But when two little boys grab the hose and point it straight at you, you have officially lost the battle to stay even a little bit dry. That’s the part where you throw up the white flag and surrender. And you hope that they aren’t taking prisoners or torturing that day. it’s funny how just about everything in life has a spiritual parallel. I was listening to the radio today, since Audrey doesn’t have a CD player, AUX port, or anything better than a tape player (and my tapes range from Joe Scruggs to Sesame Street to my dad’s country music tapes. not of which I would choose for my car ride), and the song “White Flag” by Chris Tomlin came on. All of a sudden, I heard it in a new way than I ever had before. So much in our Christian lives is counter-intuitive and counter-cultural. It makes little sense to people to give up our discouragement in job searches, our frustration in relationships, our inability to keep our rooms clean. Our culture says to push through, to persevere, that you – the strong, condiment, determined, capable individual – can win this if you try hard enough. Our logic goes through the rolodex of solutions in our heads, exhausting every possibility before even thinking of giving up. Because giving up means weakness and failure. And that is something we can’t bear. Sending up the white flag seems stupid and shameful. It’s so simple to cave to our humanity, not necessarily easy since it makes things so much harder for us, adding to our workload, our stress, detracting from our sense of self-worth. I don’t know about you, but I frequently forget what I capable God I serve. I was going to say capable by comparison to me, but that would really be like comparing Hershey’s chocolate to tiramisu as an adequate dessert, and let’s be honest: there’s no comparison. And I also forget that it’s not weak to lay down my problems before Jesus, to say that I can’t do anything with them anymore. It’s not lazy to ask God to figure things out for me. True surrender takes trust and strong faith. But he said to me, “My grace is sufficient for you, for my power is made perfect in weakness. ” Therefore I will boast all the more gladly about my weaknesses, so that Christ’s power may rest on me. That is why, for Christ’s sake, I delight in weaknesses, in insults, in hardships, in persecutions, in difficulties. For when I am weak, then I am strong. Giving my issues, my failures, my insufficiencies, my character flaws, my sinful tendencies to God doesn’t show my weakness or inability, but rather, it gives God an opportunity to show His strength through me. Ah, I love the paradoxes of Christianity. And how God gives us visual aids. Oh, Lord, I’d be so confused without those. I give up. Here’s my white flag. Today I offered to babysit for someone, then realized I had probably better check my calendar. So, I got Matilda and pulled up my calendar. The highlighted day, the one that is supposed to be the day that you are living at the moment, was July 30th. As in, almost done with July. As in, one more day til the month of departures and significant change and upheaval arrives. As in, I only have three weeks to finish my Purge, which has had rather slow progress. As in, this is the moment where I sit alone in my kitchen and say “oh my gosh.” Then I say it again. And again until all the words run together. And it’s like that moment when you feel around in the bottom of the bag of pretzel M&M’s and realize that they all disappeared while you were eating them. I lived every single day of summer – and most with at least a little purpose, some more than others. All of a sudden, however, it’s July 30th. 1) Check the date every day so that this kind of shock never happens again. 2) Make a list of things that must get accomplished in The Purge and other areas of life. 3) Make a list of things that would be nice to get accomplished. 4) Find a laundry hamper, preferably with three sorting spots. 5) Spend more time with Jesus each day to make good habits great habits. 7) Be as frugal as possible. Except for certain times when splurging is necessary. 8) Try to see everyday as a gift, a present, like a gift card of time. And don’t be too hesitant to use it – but then again, don’t waste it. I have my path. I think I’ve made lists like this before and promptly forgotten them, so I will actually stick to this one. Wish me luck. Happy 30th of July. I hope it wasn’t a horrible shock to see the date today for you. It’s time to talk about FIRE. And if that didn’t get your attention, I’m not sure what would. Fire is a pretty interesting subject. Actually, fire itself is incredibly captivating. If I hadn’t had good company tonight, I would likely have spent the hours around the fire starting at it, watching the flames lick the wood. And if you have a long, strong but thin stick, you can while away the hours by poking at it. Light the tip on fire, let it burn out. Move the coals around. Add another piece of wood even though it’s burning just fine. This type of fire is pretty tame. It spits sparks every now and then, but it doesn’t threaten much. It sits in its pit and warms. It’s a nice fire, and you enjoy being around it. Then there’s the type of fire that teenage boys enjoy. The kind you shoot up in the air from your hands and watch the sparks fly, hearing the loud “POP” each time. Hundreds of these such displays, coupled with the fact that you have diagnosed yourself as allergic to campfire smoke (you’d do the same if you knew what it feels like), and you will end up with a massive headache. Then there’s another type of fire, the kind that destroys everything in its path, like the ones that did so much damage in Colorado earlier this month. There’s nothing pleasant about this kind of fire. I was thinking about how the Christian life is called being “on fire for Christ” frequently today. And the thing that came to mind was how I really don’t want to be on fire. I was to be passionate, but not flaming. I want to be like the coals, maybe – consistently hot and radiating heat. But not even those, because eventually coals go out, or if you pour water on them, they’re defenseless. No, instead, I want to be smoke. I want to be smoked up for Jesus. Filled with the scent of Him and His agenda. Because we all know how hard it is to get the smoke scent out of you clothes, skin, and hair. And it only gets thicker and more pungent the more time you spend with the fire. I want the character and heart of Jesus to so permeate my being that I smell of Him wherever I go. That I carry something that people don’t miss, that doesn’t fade quickly. And I will keep going back to the fire in order to keep the scent on me. Maintenance required. Yes, I think I’d like to be smokey – figuratively, not literally since I’ve self-diagnose my woodsmoke allergy – all the days of my life. And I shall dwell by the campfires of the Lord forever. What it takes to wear a toga. The Olympics are a time of celebration all over the world, which is a profound thought. That for about two weeks, we’re connected with those little nations that you’ve never heard of (the one who walk into the arena with 2 athletes and everyone asks their neighbor how to pronounce the name) and the nations that are bigger than us. Only those most touched by the Olympic spirit have the pluck to do it. The Statue of Liberty wears more of a robe, I guess, but it has the same wrapped effect that a sheet doubling as a toga does. And you could say that wearing a toga with the Statue of Liberty garb really just brings the American spirit together with the Greek history of the Olympic games. Yes, I admire the spirit that brings someone to wear a toga. Particularly the spirit of the Statue of Liberty. I forget about her sometimes, not that I don’t know she exists, but I forget about how significant she is. We have freedom here in America, which is an ideal. And the best visible representation of that is really Lady Liberty herself. She stands as the first greeting to ships coming across the ocean from Europe, holding the flame of freedom high up out of the water so that none may extinguish it. And her words – as put in her mouth by Emma Lazarus – entreat them to bring their broken, tired selves, the people that are yearning to break free to American soil. It’s really too bad that most immigrants don’t come into the US by boat anymore. That phrase huddled masses yearning to break free strikes a chord within me. And it makes me glad that so long ago there was a fight for our independence, that now we are free. In that sense at least. If only our people here, free by the law of the land, opened their ears to hear Jesus saying the same thing. Come to me, all you who are weary of heavy laden, and I will give you rest. Take my yoke upon you and learn from me, for I am gentle and humble in heart, and you will find rest for your weary souls. For my yoke is easy, and my burden is light. It seems like they hear the opposite when they think of religion. Get over here, you troublemakers! You’re not doing well enough! You have to do z and y and z before you’ll ever be good enough, so you’d better get started. Forget about having fun or resting. That’s not what it’s about. We’ve really distorted Jesus’ words, haven’t we? ‘For my yoke is easy, and my burden is light. Not in me, in you. I lose things all the time. Partly because my typical place to put things is on my floor. And when you put everything on the floor, not only can you not walk around well (there’s this thing called a bed in the way too), but you lose things. Or step on them and break them. Or they just get swirled in with the rest of the mess. I’m getting better at not putting things on my floor, because that’s not where they belong. They get lost, because I’ve put them in the wrong place. I do the same thing with my trust and my questions. I ask myself the questions that I have no ability to answer. I put my trust in my own abilities, thinking that I will be able to work everything out and put all the pieces together. I entrust important things to my incapable self and important things to my cluttered, undiscerning floor. I find peace when I’m confused. I find hope when I’m let down – not in me, in You. Switchfoot gets it. The place where confusion and hope is found is not in me. Nope, things get more confused and more unrestful there. In You, Jesus. That’s where the peace and hope is. And maybe there still aren’t all the answers, but there’s peace in the confusion. Peace to just be confused. Hope that I won’t always be down. That’s what I’m resting in today. Not answers, not in having all my ducks in a row. Not in being all that I want to be, but knowing that there’s hope. For me, for the circumstances around me, for the world at large. Sometimes you mix up protein powder and ice cream and fruit and cocoa powder in a very noisy blender and call it lunch. Sometimes “Dynamite” by Taio Cruz (not a song usually on your list of favorites) comes up when iTunes is on shuffle, and you have a sudden urge to get up off the bed and get down. Sometimes you get off work at 12:30 and it’s a good day. By my title, the most likely conclusion you would come to is that this post will be about how I have no real friends. I mean, really, how would I have time to have friends with all the time I spend waxing eloquent about everything that comes to mind on here? You would be wrong, thank the good Lord (really, thank you, Jesus). I have a lovely circle of very real and tangible friends. However, I have a list of people from books, movies, and musical groups that I think I would get along quite well with. It’s not just that I appreciate their art or skills, but I think that their interests or personality would be one I would mesh well with. My family was talking about this at dinner last night, who we would pick to be our friends. Without further ado, let me introduce you. 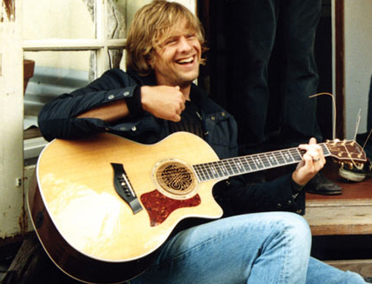 Meet Jon Foreman, frontman for Switchfoot, a part of the band Fiction Family, and individual recording artist. Why we’d be friends: Well, as far as I’m concerned, we are friends. I have every Switchfoot song that’s buyable, and when I listen to the live stuff, I laugh along with him. I’ve been to two of their shows, and at each one I have become more convinced that I would really like to be friends with him. Maybe it’s an obsession type thing. Maybe it would be really weird. I don’t know, but he’s in the circle. Meet Elizabeth Bennet, a fictitious protagonist of the novel Pride and Prejudice. Why we’d be friends: She’s witty, and I appreciate witty people. Her family is ridiculous, and we’d have a lovely time making fun of them together. Also, she likes walking and will someday be mistress of Pemberley, so I’m in for visiting her there. Why we’d be friends: Hope’s given name was Tulip. If you can get over something like that and enjoy life, you’re probably a very down-to-earth person. She also slings hash at a diner in Wisconsin, so I would be able to visit her easily. In the book, she campaigns for an honest man in a town where corruption has taken over. I like people who stand up for good, especially when the odds and the crowd are against them. If Owen Wilson is anything like his characters in Midnight in Paris and Marley and Me in real life, I would definitely like to be friends with him. Why we’d be friends: He seems like such a genuinely nice and easygoing guy in both of those movies. In Midnight in Paris, he takes joy in the simple things, which I think is so valuable. He was in Paris, and the things he appreciated most were 1) walking in the rain, 2) talking with great thinkers, 3) enjoying the beauty of the place. This is just a start for the circle. These pictures won’t be the ones I bring to college with me though. They won’t be the people I try to get in touch with when I need someone to talk to, and they won’t be the ones I check up on to make sure they are doing well. (Granted, since two of them are fictitious, I couldn’t anyways) No, those people will be my real friends, many of whom read this blog. Actually, if you’re here, you’re a friend. Even if I don’t actually know you. Welcome to the circle. By the way, at the time of this post, only people from outside America have viewed my blog today. It’s in international circle, people. I threw away my roll-on glitter, my glitter face paste, my sticky glitter for your eyes, and some sequins gel that is supposedly makeup. Because I was continuing The Purge, and I figured that real adults 1) do not use that kind of stuff on their faces and 2) do not keep that kind of thing under their sink just because they think they might need it someday. Mature adults have little use for facial glitter. I also got rid of earrings shaped like peace signs and stars. And I threw away a whole bunch of 3/4 used up travel toothpaste tubes. I cleaned out under my sink and made it…. usable! For years and years and years, it’s been a place of terror for me, a phenomenon that no amount of cleaning or reorganizing could make better. But today, I realized that the key was getting rid of the things that had been sitting in the same spot for those years and years and years without even being thought of. (Some things were thought of, but I lacked the time or resolve to dig for them.) I took out a very full bag of things that I won’t miss – actually, I can hardly remember what I put in there, besides the glitter – out to the garbage can, and tomorrow, the garbage man will take it away. Thank you, Garbage Man, for helping me to get rid of my clutter. So now I can put my face wash and contacts and makeup products under the sink while they’re not being used and thus make myself a better bathroom-sharer. Isn’t that what we all want to be? This will be my 197th post, so we’re nearing 200, people. Since we celebrated this blog’s first birthday on June 27th (you didn’t even know that’s why you were so happy that day, did you?) and I’m nearing 200 posts – which is a significant milestone for me – I have some ideas. Weigh in and tell me what you think. 1) Submit your suggestions for 200th post topics in the comments section on this post. 2) Share one or two or more of your favorite posts on facebook, or with a friend who you think might enjoy it. Or give our URLs to strange people on the street. Basically, spread the word! 3) Tell me what you think we should all do to celebrate. If you have not had the pleasure of perusing the pages of Pride and Prejudice by Jane Austen, I sincerely hope you will do so soon. I know it starts to sound like the girly-girl cliché of a novel since thousands of females over the age of 14 have swooned over it. I was thinking about adverbs today (trust me, this was not one of my really strange thoughts as I was falling asleep… I was in church. I’ll explain in a minute. 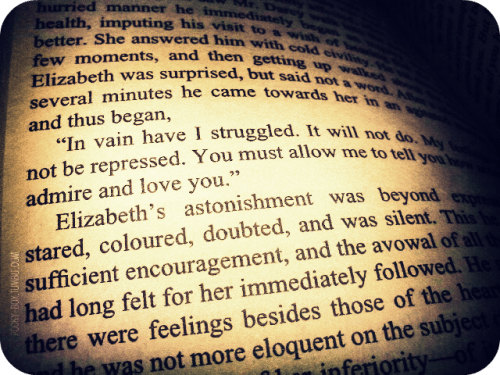 ), and I think I have fallen even more deeply in love with the fictitious Mr. Darcy. He said ardently. I mean, he used some other fabulous vocabulary too. Not that I would fall for a man just because of his vocabulary. That would be very shallow of me. But really, I mean “In vain I have struggled. It will not do. My feelings will not be repressed….” Then he declares his love. Ah. What a lovely scene that is. And what a lovely adverb. Now, you might not be a fan of grammar, as about 95% of the population is not. I, on the other hand, particularly love it. Actually. It’s not just one of those nerdy things that I feel like I need to say to assert my intelligence and praise for academia. I love grammar. And I love having correct grammar. That being said, if you find incorrect grammar (which you probably will… I don’t do much proofreading on these posts), don’t feel like you have to point me towards the straight and narrow of grammar. So basically, adverbs make adjectives, verbs, and other adverbs better. More specific. More vivid. And I think, as Christians, we need to be more like adverbs in the way we live. If you’re not following the whole grammar analogy, please feel free to stop reading and pick a different post. I know we’re all wired differently. Back to Christians and adverbs (am I getting sidetracked a lot this evening, or what?). Adverbs: they modify verbs which is their primary purpose. They modify other adverbs which is one of their secondary purposes. And the modify adjectives another secondary purpose. As Christians, our primary purpose is to serve God. He is our verb. We serve Him first and foremost. Then, we have two other duties. To serve the lost world around us, but also to serve other Christians, to build up the body of Christ. I was sitting in church tonight, hearing a request for meals for a family in the church and wondering if we sometimes neglect to volunteer in our churches because we don’t see the need. Or maybe the other way around, that we feel that our service is more valued if it’s done right in God’s house. When maybe a balance between the two is what we really need, to build up the body of Christ and then use that strong Body to serve the lost world. If you understand exactly what’s going on right now, kudos to you. I’m not even sure I follow my thought processes sometimes. And I often make comparisons that leave the logical and sane population of the world a little confused. Adverbs. Christians. We’re all the same. Normally, I wouldn’t even be awake at this hour. (about 1:15 am if you’re wondering) But I can’t slow my breathing or my thoughts down right now. The Dark Knight Rises started at 10pm, already pushing it for my bedtime, but I will make certain exceptions for my favorite hero. I found a seat with my friends and decided to use the restroom before the movie started. On the way out the door to the theater, I startled a guy who was opening the door from the hallway. And he spilled about half of his popcorn as a reflex. I’ve never scared anyone into spilling popcorn before. If that had been in a movie, he would have asked for my number, but in real life, that would have felt very strange. I was going to say that I would review the movie, but I think the proper term for what I’m about to do is rave. I’m a sucker for a good hero. And in my biased opinion, Batman is the absolute best of them all. He’s not perfect by any means, and I wouldn’t take dating advice from him. But beyond that, his roots are planted deep in things that I value highly. Loyalty. Hard work. Determination. Belief that anything/person/situation can be redeemed. Humility. And the simple fact that he wears the mask in order to protect those he cares about and to be a symbol, something that people can look at and remember that there is someone who stands for truth and right. Something to give them hope. And that’s just my raving about Batman. There was a lot of hype after last night’s premiere about the movie being “epic” and “so good”, but who is really going to take the word of a whole bunch of people who were up all night and might not even remember it anyways? I went into the theater hoping that it would at least live up to the two movies that preceded it. Oh, but did it ever outdo those two. There was even a Dickens reference in it. And I can’t count the times that I was reminded of Jesus. I know that you could say that anything is symbolic of Jesus and redemption. You could probably make it seem like the creators of Strawberry Shortcake or Gossip Girl had a Christian agenda if you had the right spin to put on it. But it just kept hitting me, over and over again, how much truth there was to what was being displayed. That there was a bad guy who wanted people not only to die, but to get their hopes up, thinking that they would be saved and have anew future before they were destroyed. (That wasn’t really spoiler at all.) And there was a good guy who was willing to risk everything in order to save his city, to give those people an opportunity to live free from oppressors. If I could watch it over again right now, I could come up with so many more. And maybe you wouldn’t think the same thing if you saw it, which is absolutely fine. I’m just so grateful that God’s character can be shown through all of creation. Not just in His word (though that’s the best source) or through the pretty trees and nature, but through what man creates. Not all of it shows God’s redemption – in fact, a lot of it shows our depravity – but I saw it tonight. this morning, whatever. Thank you, Jesus, for Batman and for how he’s like you but you’re way better. Thanks for being better. I don’t really understand how radio waves work. But for some reason, there are two stations on my radio dial that don’t come in very clearly early in the morning or on potentially rainy days or in a small section of the road I take to work. If you would care to explain this to me, that would be great. One of these stations vacillates between good music and country music… which I dislike with a passion. It’s like I can’t just tune into the good stuff when one of those three things is keeping me from having a clear signal. So I’m singing along to the worship music this morning, and some twangy man singing about his dog or his woman or his beer keeps piping in. I really didn’t care to hear about any of those things, much less care to hear his twang. I know there are tons of people who appreciate country music, but I just can’t be one of them. It just reminded me of how I live sometimes. That I don’t always stay in places and situation that keeps me tuned in with Jesus. That I forget that it’s not that Jesus FM has a bad signal, it’s that light and darkness can’t coexist. That when I venture out of light I lose signal. Even though I might not actually want to listen to the country music that butts in, I’ve gone to places where I know it will. I’ve made my radio signal weaker than it should be. I’d like to keep the good stuff coming in clear.